Despite dying several times, the ghost of a movie based on the old Ouija board has lingered for years now—making occasional appearances that some said were terrifying signs of life, while others were not as dumb as Becky. And yet, while we all had a good laugh at Becky until she called her mom and went home, it seems the Ouija board movie really is reaching out from the grave: Deadline reports that Universal has ramped up production by casting Bates Motel odd bird Olivia Cooke and Percy Jackson cyclops Douglas Smith in the film “inspired” by the Hasbro game, in the loosest use of that word in a while, with the duo playing teens who use the board to make contact with an “evil spirit.” Those teens must then “close the door they’ve opened” by, presumably, putting the game back in the box and doing something else, such as sexting each other like normal teenagers. 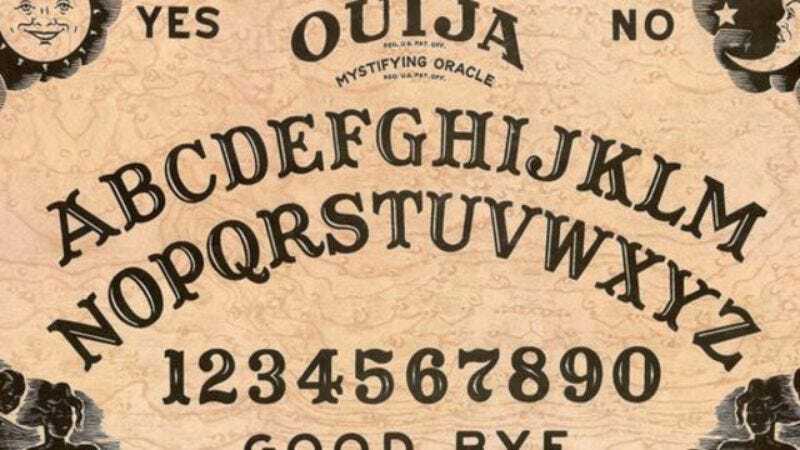 Ouija will be written and directed by Stiles White, a veteran of haunted-crap movies like The Possession, and a man so personally unthreatened by specters, he’s willingly taking on McG’s abandoned board game adaptation.